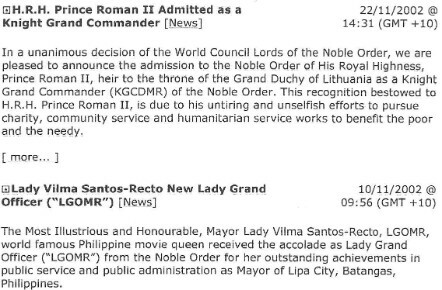 King Roman may confer Knighthoods (Sir and Lady) in the Royal Lithuanian Order, which was established in 2004 by him then as His Royal Highness Prince Roman II, The Grand Duke of Lithuania, to honour outstanding merit or achievement, and to reward those who provide him with outstanding support. 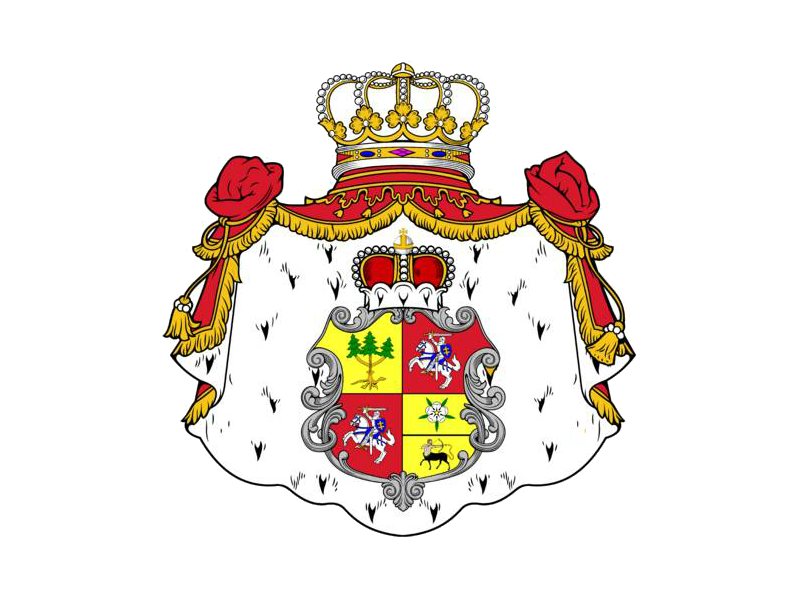 If you are an outstanding achiever, or can provide outstanding support (for example, financial, legal, promotional) to King Roman, then you may apply to be considered to be made a Knight (Sir or Lady) in the Royal Lithuanian Order. 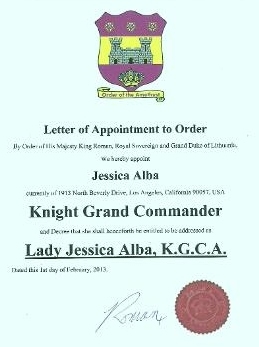 There have been Knights of various Orders over many centuries, and Knighthoods were originally granted to honour men of valour to protect their Royal or Noble masters. The admission of women to Knighthood is a recent innovation. 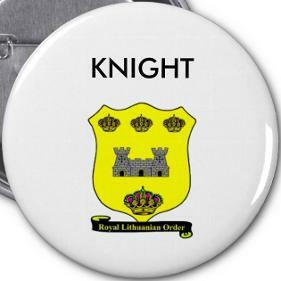 The purpose of Knighthoods, being a Knight, have also changed, with the setting aside of armour, and the use of Knighthoods, both for men and women, to acknowledge achievement in other fields than those of battle. 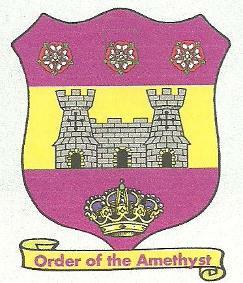 * ALL APPOINTEES MAY USE THE COAT OF ARMS OF THE ORDER OF THE AMETHYST ON PERSONAL LETTERHEADS, BUSINESS CARDS, INVITATIONS, CAPS, T-SHIRTS, CUPS, PLATES, AND OTHER ITEMS AS APPROPRIATE, AND TRAVEL AS VIP.